August 2, 2013: Belizean Welcome Party and Fundraising Event – Belize Ex-Services League of Chicago, Inc. 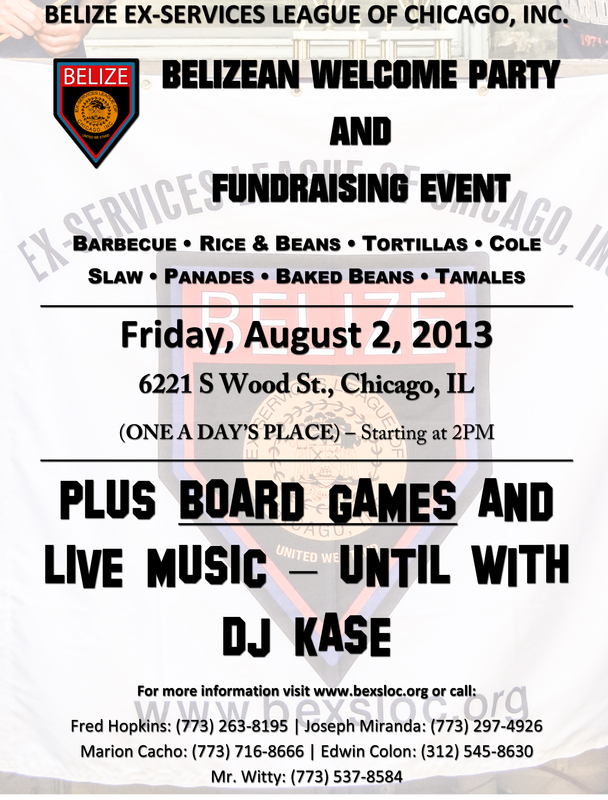 The Belize Ex-Services League of Chicago, Inc. invites you to a Belizean Welcome Party and Fundraising Event to be held at 6221 S Wood St., Chicago, IL (One A Day’s Place) on Friday, August 2, 2013, 2PM until. I left my heart in Gales Point, Belize. I will continue to pray and ask God for his gucdanie. I will also pray for those wonderful children, I left behind, Shawn, Lincoln, Carl, Arianna, Nick, Leanne, Ashley and of course LJ. What a wonderful, heart felt impact you are making in the lives that are fortunate enough to experience this God sent mission. The holy spirit is still working. All for the glory of God.